When do dogs develop pano? When do puppies get pano? Photography ©MirasWonderland | Thinkstock. 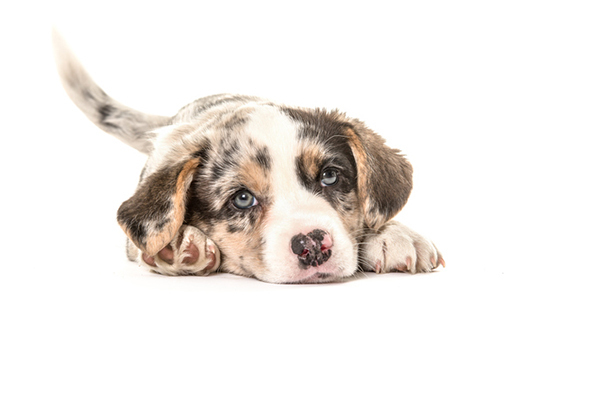 Pano is usually seen in puppies between the ages of 5 and 18 months old, but some puppies exhibit symptoms even earlier than 5 months of age. Once a puppy is diagnosed with pano, he might continue to experience symptoms until he’s two years old. What are the signs of pano in dogs? The first sign of pano in dogs is usually limping. The limping tends to seemingly come out of nowhere with no obvious injury or incident that preceded the limping. The limping also seems to “move around,” meaning that the puppy with pano will limp on one leg, then limp on another leg. What causes pano in dogs? Other unconfirmed theories about the cause of panosteitis include protein accumulation in the bone marrow (caused by an excess of protein in the diet) and genetics. “Since there is a breed predisposition for panosteitis (German Shepherd Dogs, Golden Retrievers, Basset Hounds, Doberman Pinschers, Labrador Retrievers and other large breeds), a valid theory is that there is a genetic component,” Dr. Forgeng explains. How is pano in dogs diagnosed? How is pano in dogs treated? There is no cure for panoseitis, but in time, the condition will eventually resolve on its own when the dog outgrows it. However, because panosteitis may be extremely painful, pain control is essential. “An anti-inflammatory specific for dogs is usually the best medication for treatment,” Dr. Forgeng says. For some dogs, anti-inflammatory drugs are not enough to control the pain, so the veterinarian might also prescribe additional pain medications. Limit exercise during flare-ups and avoid very long or strenuous exercise in general until the dog outgrows the pano entirely. Tell us: Have you ever dealt with pano before? The post Answering Questions About Pano in Dogs (Also Known as Panosteitis) appeared first on Dogster.